A tree's bark is its boundary. A border in space, it defines what is the tree and what is not. Bark is also a protective barrier, vital to maintaining the balance between the life that lies within and external forces that can cripple or kill. 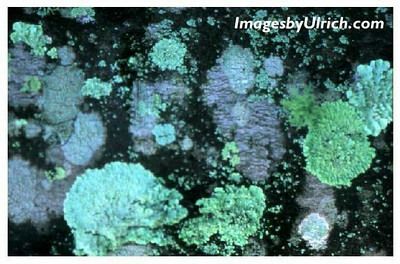 This fungus feeds on bark that is already dead, a temporary buffer. I too have boundaries, limits that I set and enforce when others would infringe on who I am or compromise what is important to me. Sometimes I am not happy that boundaries seem to isolate me, yet they are vital to maintaining the integrity of who I am. Boundaries are life!